The Johnston Square community located in East Baltimore is a distressed housing market located in the center of a number of areas undergoing rapid change. 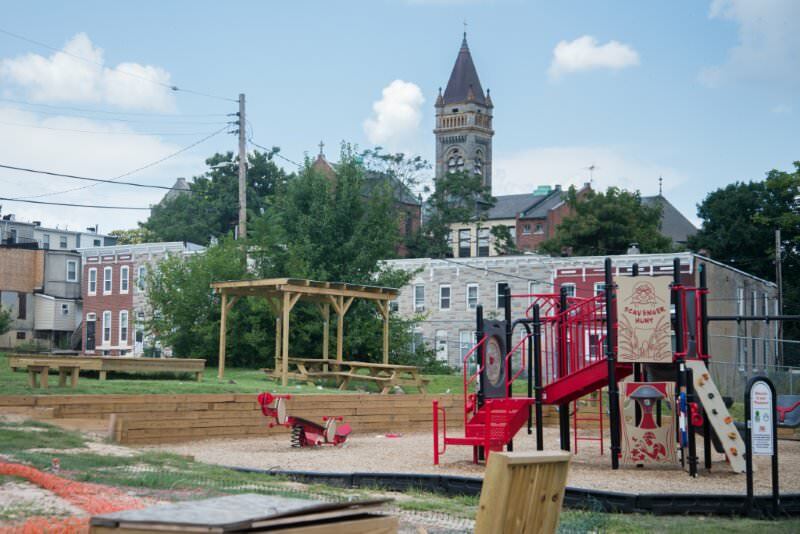 Working in partnership with Baltimoreans United in Leadership Development (BUILD) and TRF DP, the Johnston Square community completed a comprehensive redevelopment plan that has been ratified by eight community organizations and more than 130 local residents. TRF DP has also designed and implemented the Path to Own Program focusing on helping moderate income households in the neighborhoods become mortgage-ready and to develop mortgage products tailored for a cohort of families actively working to move into homeownership. In 2017, TRF DP, BUILD, MD DHCD and TD Bank were recognized for their commitment to East Baltimore’s revitalization with the United States of America Housing and Urban Development Secretary’s Award for Excellence in Historic Preservation (2017). This $50,000 grant supports TRF DP’s community organizing in East Baltimore.